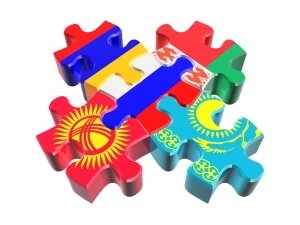 In the Eurasian Economic Union (Russia, Kazakhstan, Belarus, Kyrgyzstan and Armenia), large-scale customs reforms have been carried out since 2018, as reported by the information and analytical portal belmy.by, RK-News reports. These reforms provide for a reduction in direct communication between business representatives and customs officers, and will use electronic channels more often for processing goods passing across borders, which will reduce queues and the collection of documentation for declaration. Meanwhile, the first virtual customs and remote declaration centers have already started their work. In addition, an experiment was conducted by the customs authorities of the Russian Federation and the Republic of Kazakhstan, during which they monitored the transit of goods using electronic navigation seals. This year, similar measures are planned to be carried out jointly by the Belarusian and Russian customs services, as the head of the Federal Customs Service of Russia V. Bulavin informed. Such navigation seals store complete information about the goods being moved, including deviations from the route, hacking attempts, etc. At the same time, the Federal Customs Service of Russia and the Customs Committee of Belarus plan to implement joint measures to combat gray supplies: products will be tracked from customs to cash register retail checks.